PTS-02 adenoid cystic carcinoma - Products - Gongwin Biopharm Co., Ltd.
ASCO statistics shows that the annual new cases of ACC (Adenoid Cystic Carcinoma), a rare disease, is only 1,200. One of the key characteristics of ACC is slow tumor growth at early-stage but advancing to late-stage recurrence or metastasis. The average survival rate at the fifth year, the fifteen year and the twenty-fifth year is 77.3%, 44.9% and 25.5% respectively. ACC of trachea accounts for nearly 10% of all ACC, representing 7% to 16% of all trachea tumors. ACC induced malignant airway obstruction (ACC-MAO) is a life-threatening indication causing dyspnea and dysphagia. Due to the complicated clinical course and vague etiology of ACC, there has been no optimal treatment option. At early stage, the recommended treatment option is surgery to remove the lesions to create a lesion-free margin. When ACC has been progressing to the inoperable stage, the preferred treatment option is radiotherapy. However, the survival rate of patients receiving radiotherapy is significantly lower than those of only receiving surgery treatment. The average responding rate to chemotherapy is usually lower than 10% and the median survival period is less than 12 months. There is a desperate medical need for an effective treatment option on inoperable patients or patients with fast disease progression in ACC. PTS is a novel small molecule tumor ablation agent with the advantage of quick-onset over systematic therapies and with the advantage of stronger necrotizing effect over physical ablation therapies on tumors. In addition, PTS has demonstrated minimal damage effect to normal cells. As a result, clinical physicians can conduct PTS intratumoral injections via bronchoscopy for patients with high risk to physical ablation therapies and for those hard-to-reach focus and basal tumor cells causing tumor ablation. Then, physicians can remove tumors by suction and/or clamping with minimal damages to adjacent normal tissue. In our Phase III clinical study in China, 8 patients were diagnosed with ACC-MAO at enrollment. The 30-day post-treatment ORR is 75% with a 5-year survival rate of 50%, indicating the clinical benefit. PTS has been granted a FDA orphan drug in 2017. Currently a discussion with FDA regarding a multi-center phase II study in US is underway. 2.Lloyd S, et al. Determinants and patterns of survival in adenoid cystic carcinoma of the head and neck, including an analysis of adjuvant radiation therapy. American journal of clinical oncology. 2011;34:76–81. 3.Dillon PM, et al. 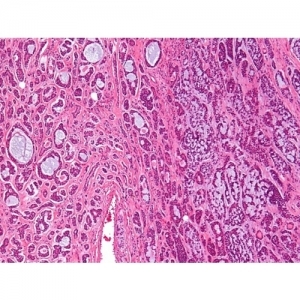 Adenoid cystic carcinoma: A review of recent advances, molecular targets and clinical trials. Head Neck. 2016 Apr;38(4):620-7. 4.Chae, et al. 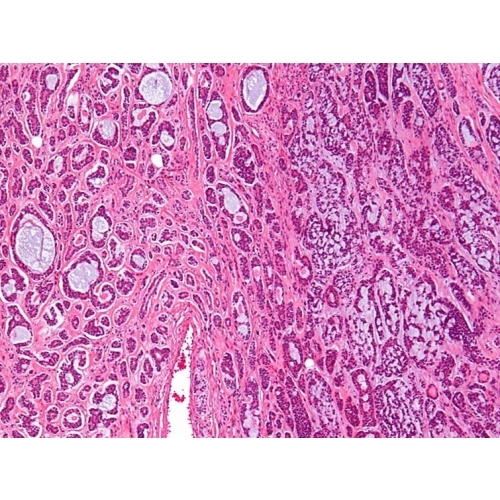 Adenoid cystic carcinoma: current therapy and potential therapeutic advances based on genomic profiling. Oncotarget. 2015 Nov 10; 6(35): 37117–37134.Guan WJ, et al.